Siva Mohan, M.D. began her path to healing in neuroscience, and this sparked her interest in the mind-body connection. In Medical School and during her Public Health Masters, she focused her studies on an extension of the mind-body relationship: the effects of community, development, and culture on health behavior. Several years later, Dr. Mohan is fortunate to practice Ayurveda and Yoga, addressing health in a personal, individualized and holistic way. 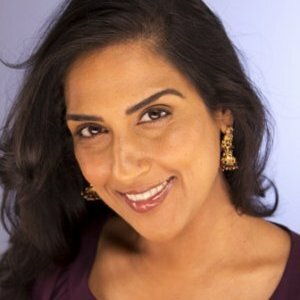 Dr. Mohan’s perspectives have been recently featured in Marie Claire, Well + Good, LAYoga, Real Simple, First for Women magazines, amongst others. Her private practice has been featured on KCLA TV, Veria TV, and she is a featured expert on several online wellness portals (LivingHealthy, BanyanBotanicals, Curejoy, Ayurvedanextdoor, Mom.me). She is the founder and director of LA’s annual celebration of the Vedic arts, Veda MeLA. University of California at Berkeley: M.P.H.